Fraud by individual voters is both irrational and extremely rare. Damn, it's becoming more and more difficult to remain a Republican. You can read the entirety of Mayer's article here. If you (have) watch(ed) Beck's "The Machine," you now have a name to listen for (or remember): Hans von Spakovsky. On a later segment, Hayes discussed the history of claims that ACORN committed voter fraud, something that Beck and his colleagues harped upon during his time with Fox "News." In this segment ACORN CEO, Bertha Lewis, explains her former organization's side of the story on allegations of voter fraud. Hopefully, readers, who watched Beck specifically -- and Fox in general -- smear ACORN and successfully undermine their operation, better understand now why the right destroyed ACORN. They don't want all eligible people voting. They understand that the more democratic an order is, the less unequal is the distribution of wealth. The reactionary right, like Mr. Beck, fear the political equality of one man, one vote. "Same as it ever was. Same as it ever was." FACT: Once a person who has been convicted of a felony completes his or her sentence, including probation and fines, that person is eligible to vote. This could be an extremely close and exciting election. There is clearly information that the corporate media on both sides is hiding, different levels of potential election fraud possible, the current possibility that the winner of the electoral college (something else Hayes discussed on his show Sunday) will not be the candidate with the most votes (again, remember 2000 Supreme Court choice of President Bush) not to mention the 1% or so chance that the electoral college will come out even at 270 electors each. For a partisan, this has to be one of the most exciting finishes of any campaign for American President ever. For a libertarian or a radical, this race is between the left and the right sides of a terrible center of a corrupt system. Their candidates cannot win any electoral college votes. It is always possible that one vote in one state could tilt a presidential election, but this year seems like an especially close and important election. The choice of Beck's soulmate by Gov. Romney turned this race into a basic question that the President has framed in a single word theme of this candidacy: Forward. No matter how disappointing Obama has been, how many of Pres. Bush's foreign policies he's embraced and escalated, this election remains a choice between two men who want to take the nation in two different directions, forward (in baby steps aptly called liberal corporatism and the neo-liberal world order) or backward. Because Gov. Romney is so much of a flip flopper, who's seemingly devoid of a core set of beliefs, it is impossible to even guess just how regressive President Romney would be. If you are undecided and reading this post, just ask yourself whether you think the United States should move forward toward a more perfect union or backward toward a less perfect one, when fewer people had rights. 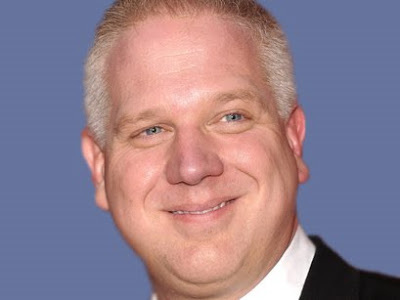 Forward progress or backward regression in the direction of Glenn Beck's ideals? If Beck were not a hypocrite, he'd be supporting Gov. Johnson, the libertarian candidate. Again, not long ago, Mr. Beck told a "reporter" that he hates the Republican Party. A supporter of Mr. Beck could just argue that he has changed his mind about his hatred. Uh huh. Update, 10/31/2012: Beck's "news" site is reporting that some voting machines seemed to be rigged in support of the President, and The Blaze never gets their stories wrong, right? What do you think? If you're still undecided, ask yourself how many liberals are supporting Gov. Romney? In a coming post, the issue of voting in swing states will be looked at from two sides. It will analyze the choice for progressives between the lesser of two evils vs. voting for a candidate that really reflects progressive values. These previous posts show just how extreme, dishonest and of poor judgment Gov. Romney has indicated he is. This election offers an important choice for voters. Make calls or help the candidate of your choice.